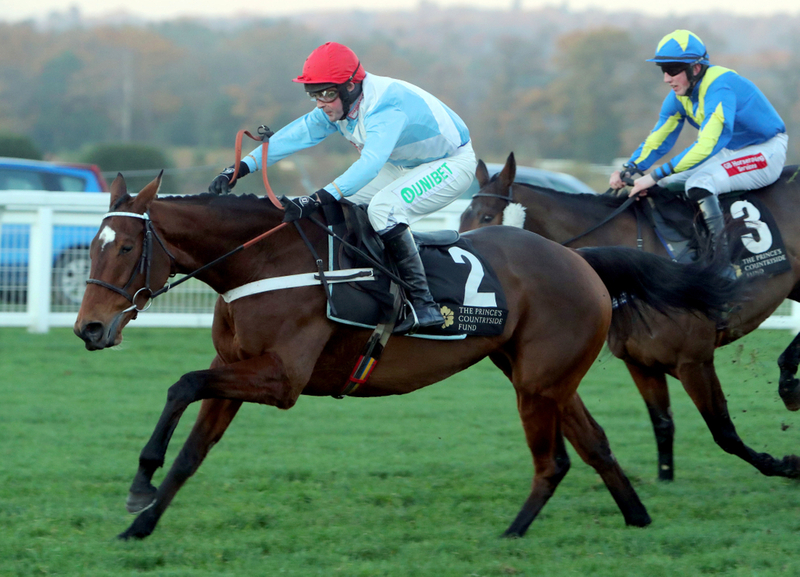 The first selection in todays Stats Accumulator with Sky Bet comes from Plumpton over the jumps in the Class 3 Novice Chase over 3 miles 1 1/2 furlongs and we have gone with Ok Corral to win. This eight year old has been a smart hurdler in his career but today has his first go over fences and if reproducing just a hint of his ability from his hurdles days he will take this race. Trainer Nicky Henderson is in some great form this season and over the last 14 days is running at a strike rate of 23 percent. With this, Barry Geraghty is in the saddle here at Plumpton today and he has a strike rate of 67 percent at this track. The second selection in todays Stats Accumulator with Sky Bet comes from Ffos Las in Wales, in the Class 4 Novice hurdle over 2 miles 4 furlongs and we have gone with Minella Examiner to place. This five year old is having his rules debut today after being bought for £75,000 off the back of finishing second in an Irish point race on heavy ground. Warren Greatrex loves bringing his horses to this track as he notoriously does well here and is running at a record 42 percent for his yard. The champion jockey gets the leg up for this one and he is running at a strike rate of 23 percent. 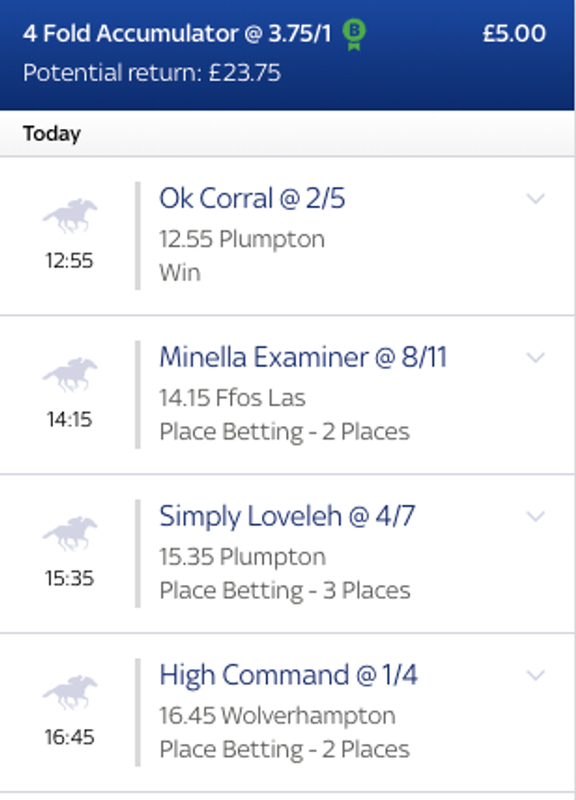 The penultimate selection in todays Stats Accumulator with Sky Bet comes from Plumpton again in the National Hunt Flat Race over 2 miles 1 1/2 furlongs and we have gone with Simply Loveleh to place. This Dan Skelton trained five year old has finished second in both her bumpers this season and last time out ran into a really smart prospect and today has Harry Skelton back on board. The Skelton brothers have been superb this season plucking winners out every week and last week was no different giving the both a 26 percent strike rate. The final selection in todays Stats Accumulator with Sky Bet comes from Wolverhampton in the Class 6 selling Stakes over 2 miles 1/2 furlong and we have gone with High Command to place. This five year old for trainer Gary Moore looks to have found his feet on the flat after being good over hurdles but slightly disappointing on his latest run. Hector Crouch gets the leg up today and he is fine form running at a strike rate of 21 percent for the last two weeks. With this, trainer Gary Moore has a great record when working with the owners of this horse and they are running at a record of 25 percent.